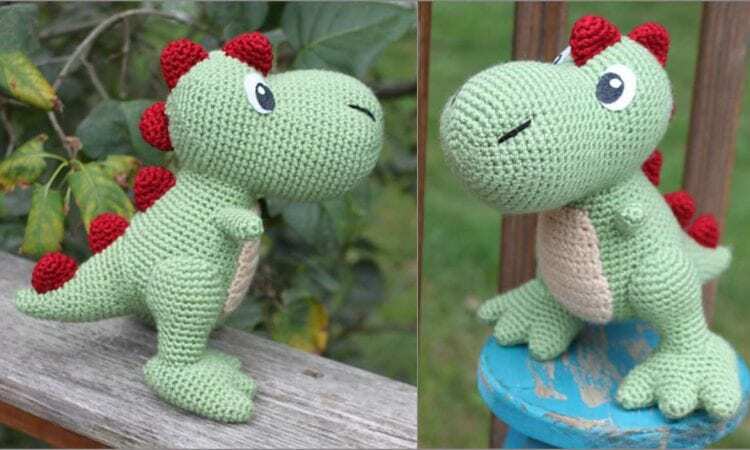 Thhe Amigurumi Dino will be a favorite toy for a toddler, but I know a few grown-ups who would enjoy such a gift as well. He is just right size to cuddle and carry. The finished dino measures about 8” tall and 7” across (mostly head). Do you think the dino is only for boys? You couldn’t be more wrong! Make it in pink and violet and no girl will resist it! A link to the free pattern is below.